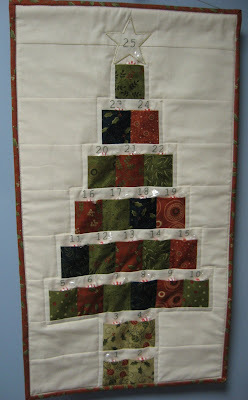 Hooked on Needles: Stitcher's Angel Swap Progress -- and a few hints! Stitcher's Angel Swap Progress -- and a few hints! I've been snatching a few minutes here and there to work on my Stitcher's Angel Swap gifts and the first one is well on its way to actually looking like something. It's been so fun working with this pattern again and changing it up just a bit. 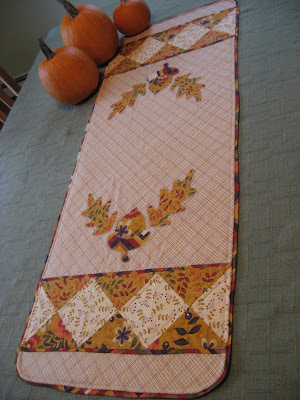 I also love the fabric I chose for it. I just hope the receiving Angel likes it as well. I've also been giving some thought to what else I am going to make for the swap and I've left a couple of hints here about what I'm considering. Here's the first gift well underway. Can you guess what it is? That stitched picture is original artwork by yours truly -- that's me! You can see I'm not much of an artist, but it was stitched With Love. I sure hope that makes up for its simplicity! Isn't that a lovely zipper? It's looking a little ... um ... well ... how shall I say it? ... naked? I'm thinking of making something to dress it up a little. Everyone knows what this is...a pile of pins. A pretty and practical solution to this situation just might be another thing my receiving Angel finds in her package. After I complete my swap projects, I'll show them to you here. If the Angel I'm sending to is cruising around looking for clues, she just might see her gifts before they ever reach her mailbox. Hmmm ... they might even be for You!